Posted September 13th, 2017 by Crisis Centre & filed under News. 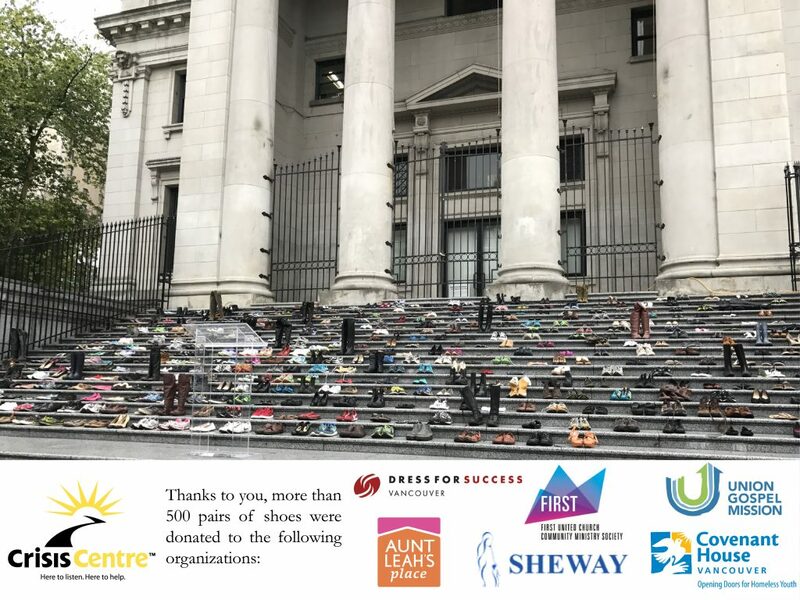 The Crisis Centre was able to donate more than 550 pairs of shoes to 6 local non-profits following the art installation at the World Suicide Prevention Day event on September 8th. A large thank you to all of the individuals who donated shoes for this dual purpose!